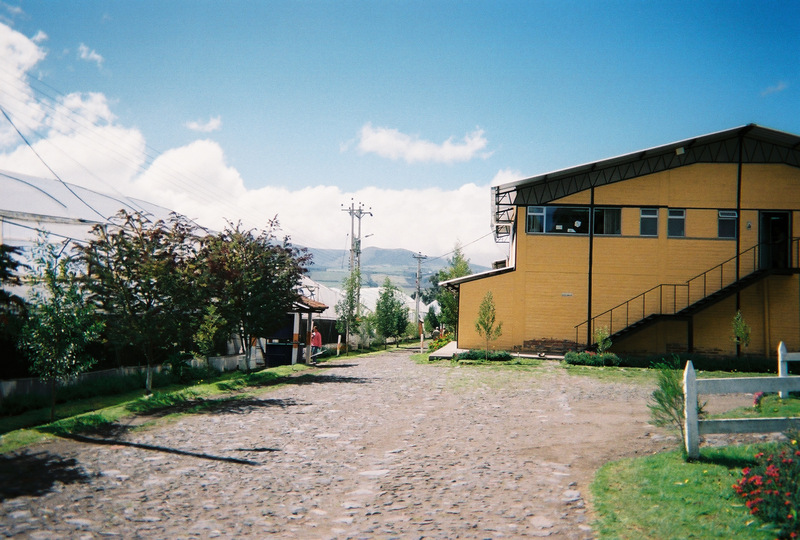 Our second day in Ecuador continued in the town of El Quinche. 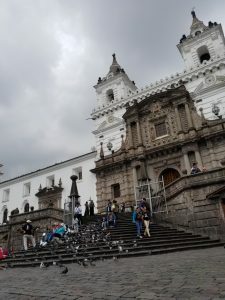 It is located northeast of Quito between Puembo (our hosteria or hotel) and Guayllabamba, and east Mariscal Sucre International Airport. This town is notable for a church. After the Spanish conquest, Catholicism became the predominant religion. El Santuario de El Quinche is known for an annual mass pilgrimage. It begins in Calderón at night and ends in the town of El Quinche on the morning of the 21st of November. This is in honor of La Virgen de El Quinche who made apparitions to save a community of oyacachenses from a plague of ferocious bears in the 16th century. She proposed to help if the inhabitants converted to Catholicism. Inspired and full of hope, the townspeople constructed a shrine in the cave where La Virgen de El Quinche made the apparition. Miraculously the bears were never to be seen again. For over 400 years, the pilgrimage has been a tradition. Legend has it that the 16th century San Francisco church was constructed on a pact with the devil. An indigenous native named Catuña, was hired by the Franciscan friars to complete the project in six months. Catuña and his men worked tirelessly but much was left to finish. On the eve of the deadline, the devil appeared. Taking advantage of Catuña’s desperation, the Devil offered to help in exchange for his soul. The indigenous man accepted, but clarified that every last brick must be laid otherwise the pact was void. All the little devils began to work and managed to progress quickly. Before daybreak, the boastful Devil was ready to claim Catuña’s soul as the church appeared to be complete. But the native exclaimed it was not finished as promised for a brick was missing. The Devil, feeling humiliated, left in fury with an unclaimed soul. Catuña was spared thanks to his wit, because before the devils began the labor, the native hid one of the bricks knowing this would be his saving grace. This story has been told for many centuries, and to this day it is said one brick is still missing. So if you ever visit the San Francisco church, let us know if you find it! Today we embark on a journey to Ecuador. 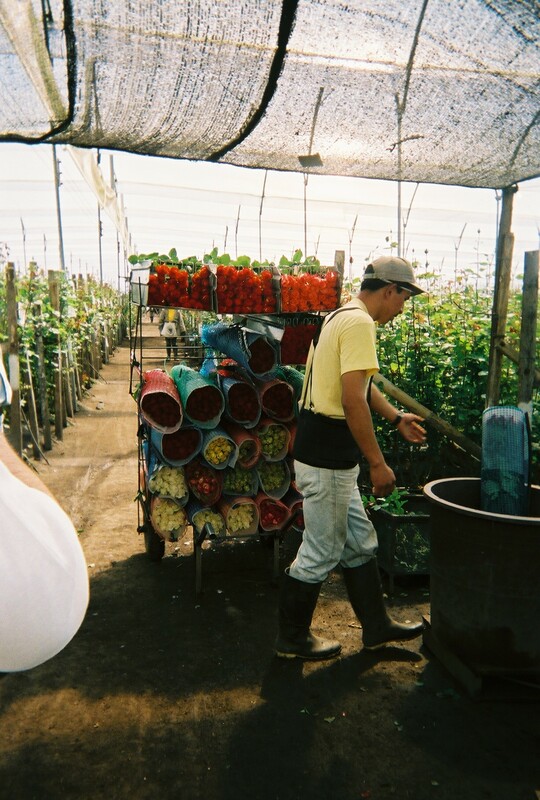 It’s close to Valentine’s Day season and we will be visiting our farms. Most cultivate roses and others are growers of calla lilies, asiatic and oriental lilies, and other focal flowers and fillers. Our flight takes off at 3:55 p.m. and we arrive at 7:55 p.m.
As we descended into the city of Quito, from the plane we could see all the lights from the city below us along the mountains illuminated in the darkness. The view was breathtaking. After collecting our luggage we made our way 20 minutes to our quaint “hosteria” called San Jose in Puembo with historical roots. The property even has a corral with farm animals including llamas, sheep, chickens, and peacocks. Chilean peony season has begun, and we are excited for you all. Fall and winter weddings get a touch of elegance with an abundant bouquet of heavenly peonies. This season will last from November to early January. As the weeks advance, different varieties will rotate in and out of production, but you’ll get to see an array of colors—more than any other season. We are starting November with four lovely peonies in white, coral and pink shades. Be sure to prebook peonies in advance being they are a popular item, especially for weddings. Always have a back up plan in mind using peonies for events. Depending on production, some varieties may or may not be in production. Check with your account manager every week to be sure the color you need will be available. Coral Sunset is a lemonade pink color and a semi double bowl shape. It has a lengthy vase life lasting about one week. 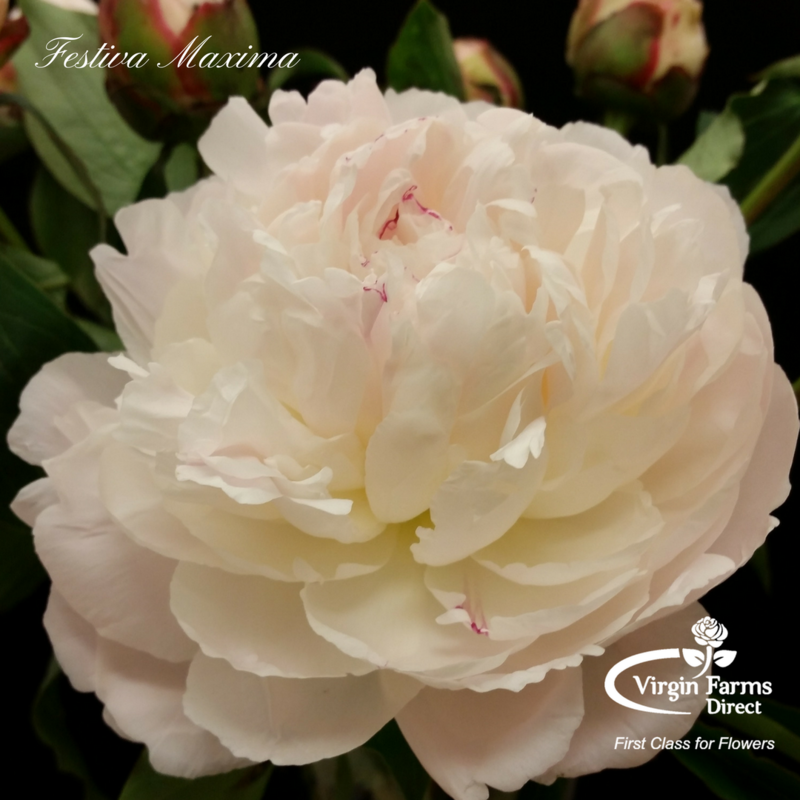 Festiva Maxima is a pure white peony with some streaks of red. This is a popular variety for weddings especially around Christmas. The double shape overflowing in wispy petals gives bouquets an enchanting aesthetic. Gardenia is double peony. The petals are a creamy white in the center and the layers around are a soft blush with darker tones of pink. 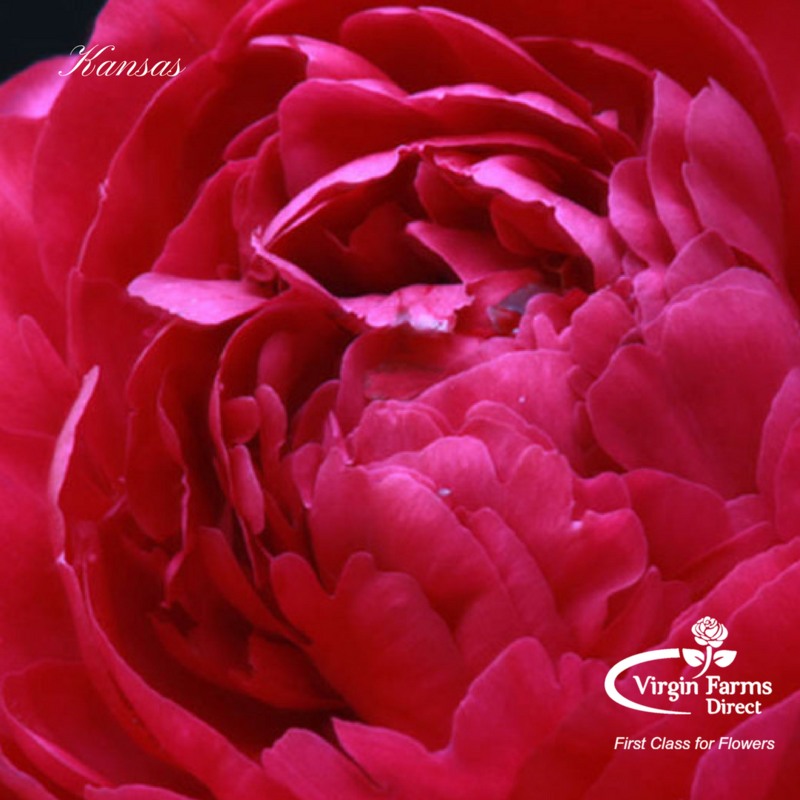 Kansas is an intense raspberry color, also a double peony shape. If you want your floral designs to pop and capture the eye, then Kansas is the perfect variety. As the weeks progress, more varieties will become available. Follow us on social media for updates and pictures! Be sure to tag @VirginFarms on Instagram and use #VirginFarmsPeonies. When you receive your roses from Virgin Farms, it’s not just a product. There’s a story to each rose, from the time it is planted in the ground to the time they are harvested. 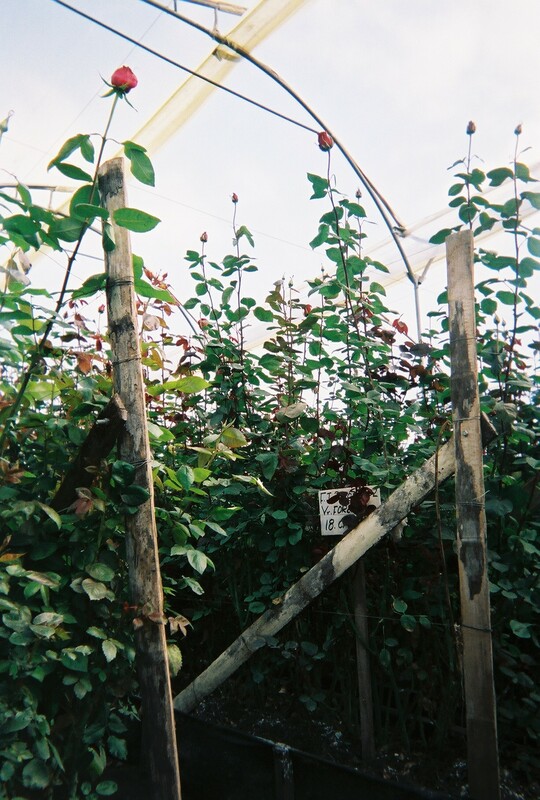 In September we will be visiting the farms to take you on a journey of the cultivation process. 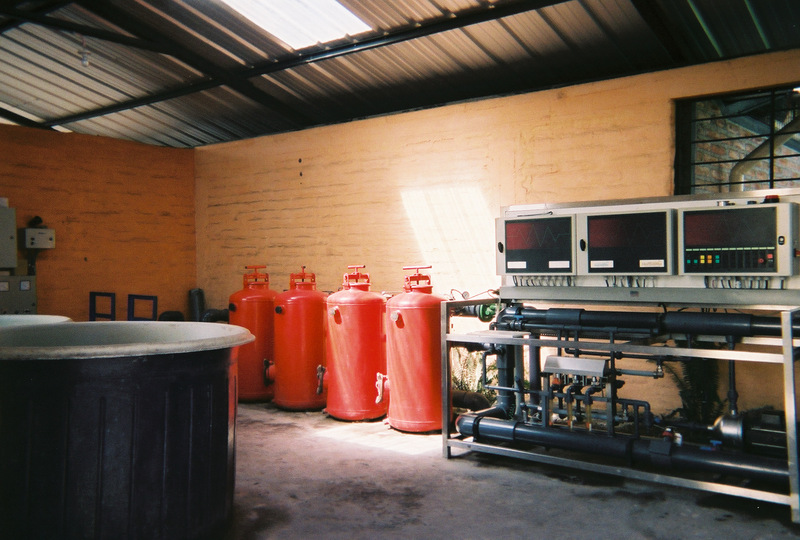 The pictures below are from our visit to Ecuador in 2004. The cool weather and high altitude is what makes conditions optimal for growing robust roses. There is plenty of work involved in making sure the rose plants have the proper level of sunlight, hydration, and fertilization. 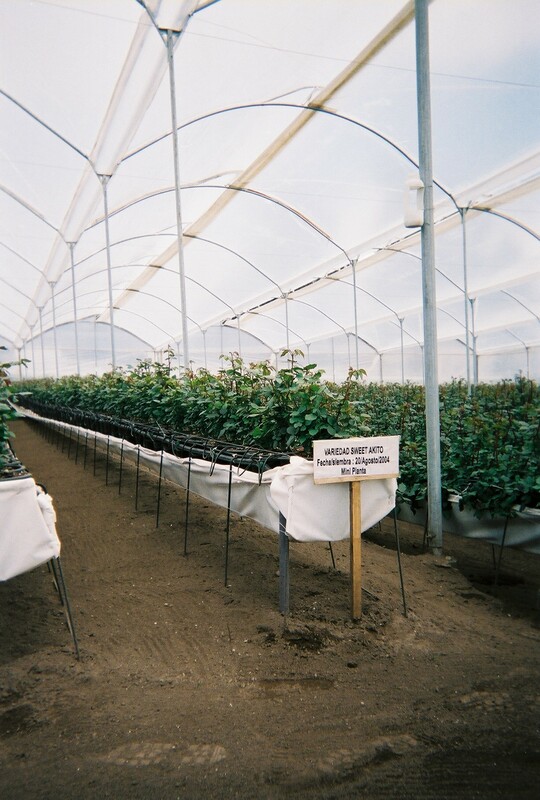 Once the roses are harvested, they are transported to a packaging facility onsite. The roses are checked for quality assurance, and sorted by stem length. Employees then package each bunch in protective insulation and cardboard. The bunches are taken by lot into a cooler where it is a chilly 32℉. The cold chain method preserves the roses’ freshly harvested state until it arrives to you. This is why your flowers often look thirsty upon arrival to your shop. Once you hydrate your flowers, they begin to bloom and show off their beauty. What if the beauty of a rose lasted forever? Our innovative product line brings the magic of the enchanted rose from Beauty & the Beast to life. The roses are natural with petals soft to the touch. They have been harvested and cut at the perfect aperture. The rose then undergoes a preservation process and dyed in unique color blends. It needs no water to survive. It is frozen in time, exhibiting the same beauty as its mortal state. There are two sizes of preserved roses: Large (6.0-6.5 cm bloom diameter) and Jumbo (10.0-11.0 cm bloom diameter). 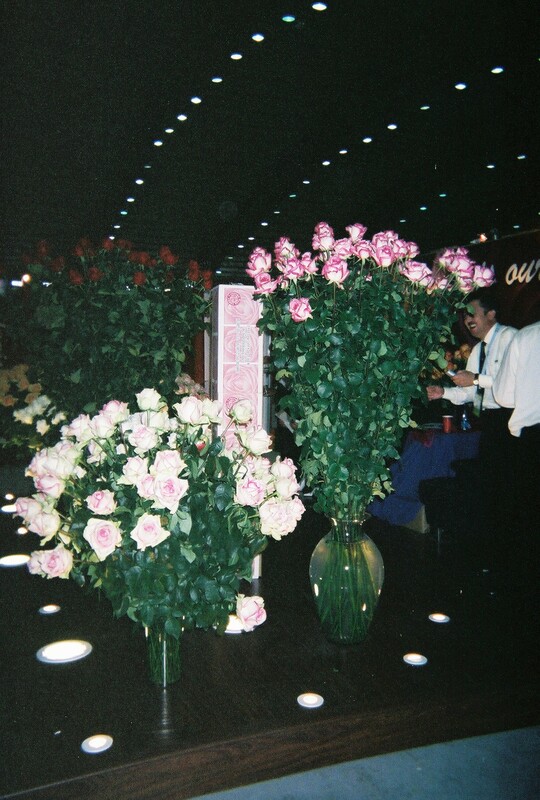 Large roses are packaged in a tray of 6 roses, and they are available in 20 unique colors. Jumbo roses are packed one in a small box, and they are also available in the same color choices. The Jumbo roses are also available as flag roses! These are hand-made and each petal is glued individually to form the flag in rose shape. It’s Valentine’s Day season again! The year 2016 raced by quickly, and here we are in January 2017 ready for another exciting holiday. By now you all have started making preparations for your shop: order fresh cut flowers, stock design materials, begin advertising campaigns, and hire extra helpers. At Virgin Farms we also make preparations, and when shipping week rolls around we are busy as bees. Throughout January florists place their orders for roses and other fresh flowers. Then by the first week of February we begin receiving inventory. 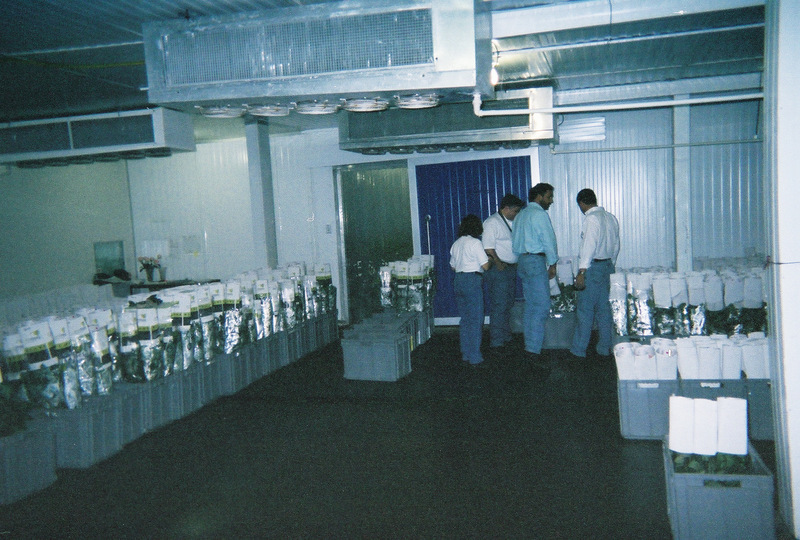 Our operations manager and cooler crew sort and check the flowers for quality. We wanted to give you a behind-the-scenes view of our cooler. Check out our video! There’s something wholesome about the fall season. The changing foliage, the crisp air, the warm shades of nature—dormant, yet vivacious all at once. This quarter is one of the most abundant in varieties throughout the floral year. Our flowers come from all over the world, which allows us to bring the most unique flowers to make your floral creations stand out. You will be seeing euphorbia, hypericum, kangaroopaws, crocosmia, sunflowers, and other varieties throughout the season. Every year this specialty box is highly anticipated among floral designers. It is the perfect representation of autumn, including daisies, spider mums, cushions, disbuds and pom poms in gold, bronze, orange and rusty red. The box is available every week from September 26th through November 21st, 2016. If you love them so much, you can set up a standing order to receive a box every week. Every designer, and every bride loves peonies. Luckily for both parties, these austere blooms are in season from November until early January. 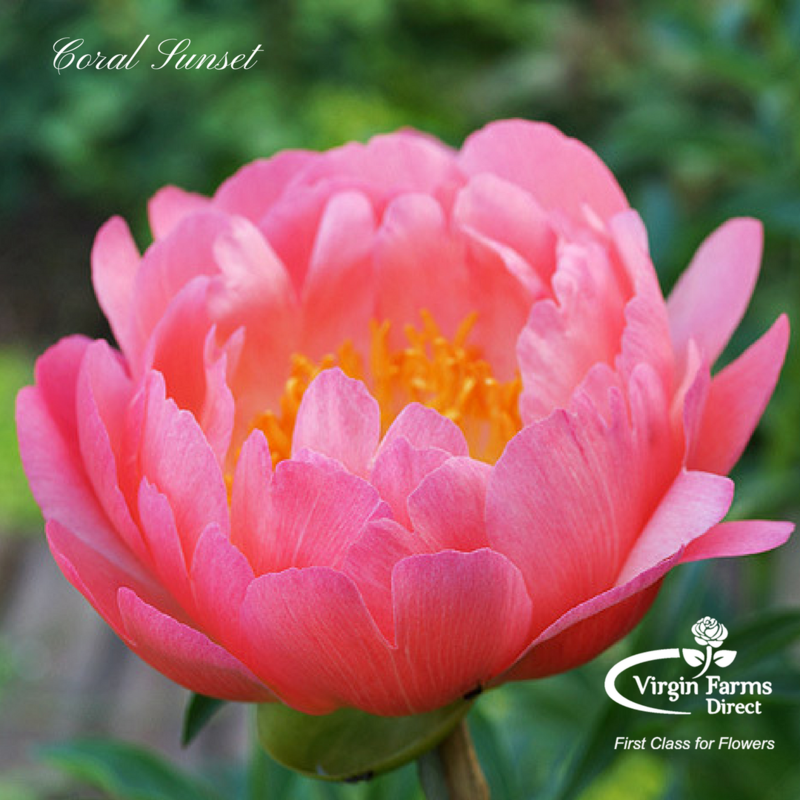 Every variety has a rotation cycle, meaning certain varieties become available at different points throughout the peony season. Ask our floral experts to provide a chart with approximate rotation dates and variety names. Although garden roses are in season year round, there are some varieties we suggest for your floral designs within the fall color palette. Romantic Antike and Caramel Antike are both cup-shaped garden roses, for a classic and traditional look for centerpieces. The auburn and golden yellow color would combine beautifully with fruits and earthy foliage. Red Piano also has a nostalgic cup-shaped head with side shoots that give it a hand-picked aesthetic. In the yellow palette, we recommend Lemon Pom Pom and Catalina. For a sophisticated floral arrangement, David Austin varieties up the ante and we love Edith with its light fragrance and also the ruffly-edged buttercream rose, Beatrice. Visit our garden rose gallery to browse all of our varieties. The art of designing floral arrangements may seem simple. Just grab a bunch of flowers, put them in a vase and voila! You are a designer. To really master a profession, dedicate yourself to learning a profession well through preparation. Take classes, read articles and watch tutorials, or intern with a professional designer to learn the trade. We found an excellent guide online published by the Baxter County Fair titled, “Principles of Floral Arrangement.” It was published in 2005, but it provides a great foundation for the theory of designing and composing arrangements. The guide is useful for interns learning how to arrange flowers professionally. The comprehensive guide explains everything from processing flowers to choosing the proper containers. It also provides an introduction to color harmonies to help designers select color schemes for floral arrangements. Patterns, textures, and sizes of floral varieties to create a harmonious design. For instance, using spring flowers with a winter flower would have a mixed expression of seasons. A bouquet tells a story. As the bride walks down the aisle, the bouquet she holds in her hands should convey her personality and exude grace. It is a key accessory, and essentially an extension of the bridal gown. To create a masterpiece, an artist must use the best medium. For a floral designer, flowers are the paint to a canvas. This wedding season say, ‘I do’ to our luxury fresh cut flowers. At Virgin Farms, we pride ourselves in sourcing first class varieties from all over the world. David Austin roses are like the refined diamonds to a ring, or the Chantilly lace that delicately embellishes the bride’s wedding gown. Garden roses convey nostalgia and elegance. 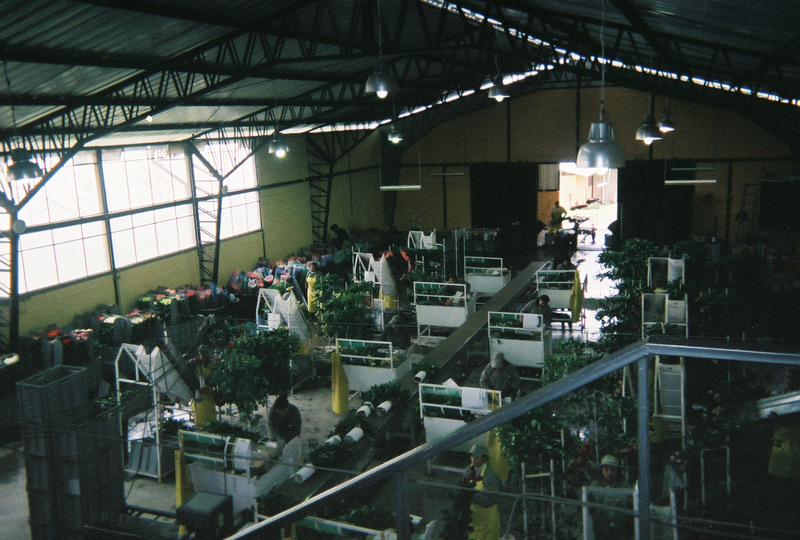 The most unique and fragrant breeds are harvested from Colombia high in the Andes Mountains. 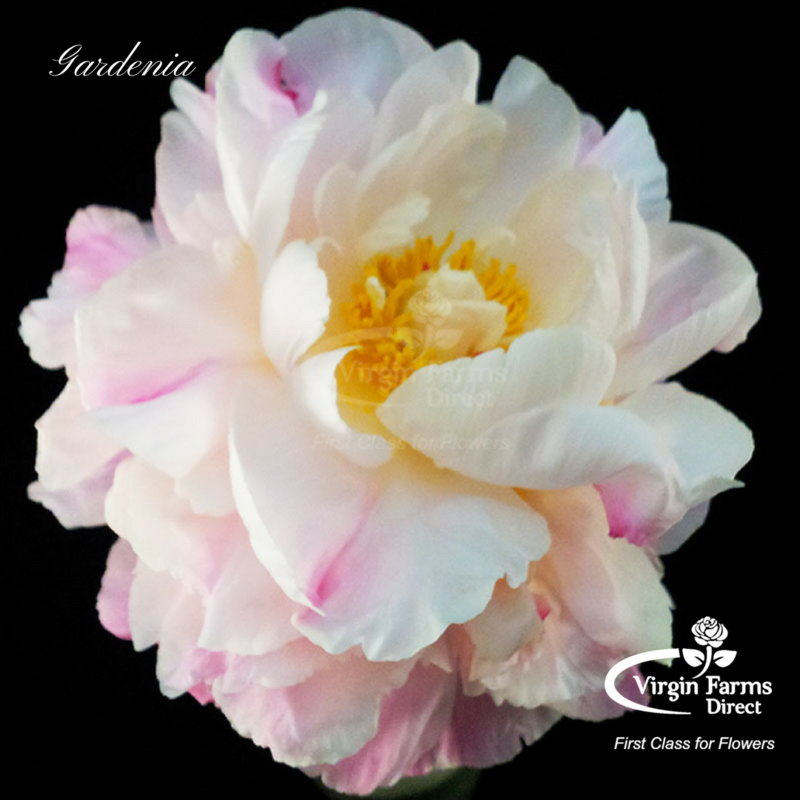 Virgin Farms has the privilege to offer the most sought after varieties such as Juliet, Patience, Constance, White O’Hara and the green-centered pastel garden rose, Charity. It’s not just a rose—it’s an Ecuadorian rose. If they were branded, you might say they are Mercedes class. The blooms are lush and voluminous, with sturdy stems and lengthy vase life. These characteristics and qualities are the reason floral designers choose our roses over any other. High altitude, rich soil and cool weather are the optimum combination, producing the most unique rose varieties and color variations. For weddings, roses are the most reliable flower since they are available year round. Popular varieties include white Mondial, Vendela, and Tibet and the champagne-hued Quicksand. Home of the historic Aalsmeer Auction, flowers grown in Holland are top of the line. This is where we source our hydrangeas, tulips, calla lilies, delphinium, lisianthus and other varieties including the highly sought peonies. During the months of April through July, Dutch peonies are in production. The aperture is more large and lush, and the majority of the colors are in season making it the ideal months to have a wedding if peonies are on your bridal couple’s wish list. For weddings or special events, plan ahead. Make a wish list of floral varieties and alternate choices, as well as the quantity necessary for each variety. Contact our account managers two to three weeks before the event to allow us to coordinate with our farms. There are also specific flowers that require advance order placement to ensure production can cover the quantity you need. These items include: garden roses, David Austin roses, peonies, dutch flowers, orchids and phalaenopsis. For Ecuadorian roses and focal and filler flowers, advance notification is required to preorder mass quantities with the farms.